Originally published in 1986. Wittgenstein, William James, Thomas Kuhn and John Wisdom share an attitude towards problems in the theory of knowledge which is fundamentally in conflict with the empiricist tradition. They encourage the idea that in understanding the central concepts of epistemology – objectivity, certainty and reasoning – people and their practices matter most. 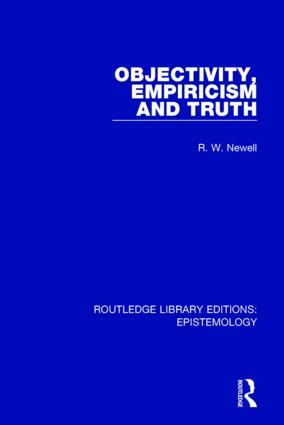 This clash between orthodox empiricism and a freshly inspired pragmatism forms the background to the strands of argument in this book. With these philosophers as a guide, it points to new directions by showing how the theory of knowledge can be shaped around our actions without sacrificing reason’s control over our beliefs.